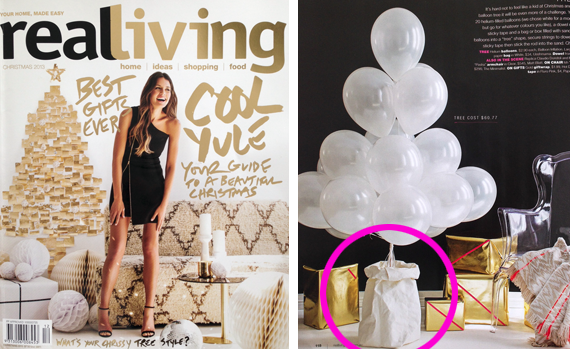 (above) An XL White Uashmama bag ($69) makes a fab tree in The Christmas issue of Real Living! 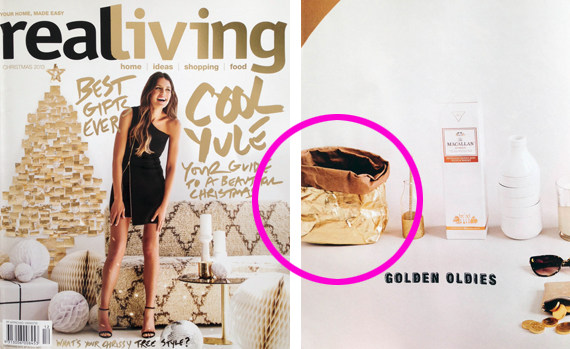 (above) And the Gold Medium size bag ($36) makes an appearance too! 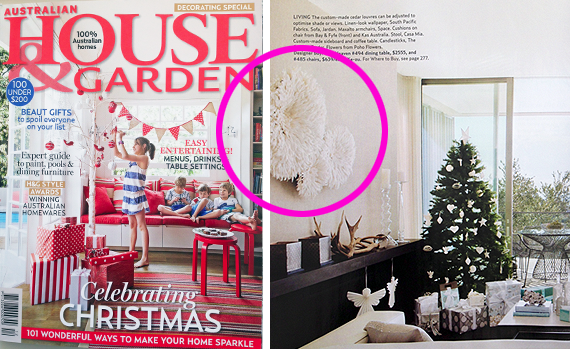 (above) A cluster of Table Tonic Juju Hats ($239-$650) grace the wall of one of our customer's homes - featured in the new House & Garden. Worth buying the issue just for this house (in Sydney's Gordon's Bay). It's astonishing. 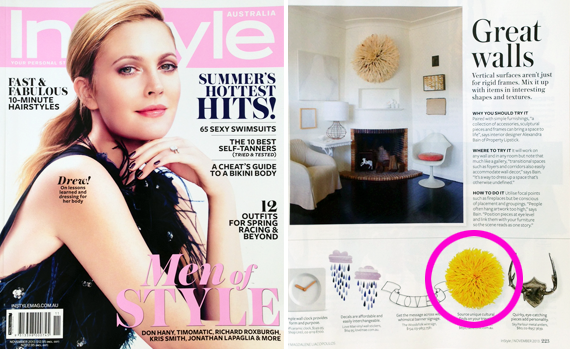 (above) A Large Yellow Table Tonic Juju Hat ($650) in InSyle mag. 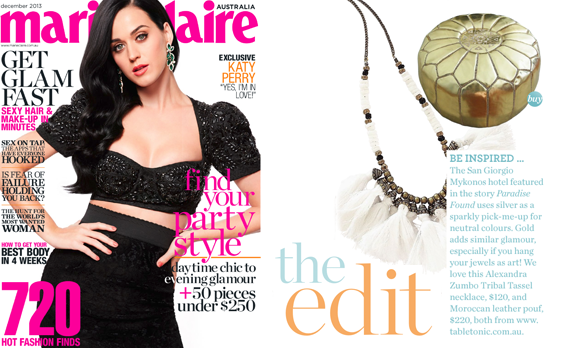 (above) Our Gold Moroccan Pouffe ($199) and an Alexandra Zumbo Tassel Necklace in Marie Claire. PHEW! Happy days at Table Tonic! Click to shop online - so many new goodies in stock!